Innovations in electric mobility could boost the electric car from a niche form of transport to a mass market one sooner than expected. Stephen Hall from the University of Leeds highlights five developments making this happen. There is huge potential for using electric vehicles to tackle climate change, give us cleaner air and grow the green economy. The question is, when will it make sense for most of us to ditch diesel and petrol, and go electric? Given the pace of innovation in the sector, it might be sooner than you think. 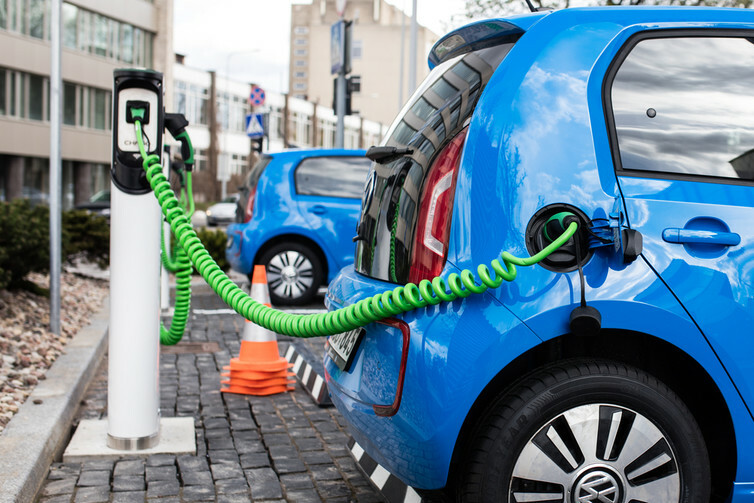 New research from the University of Leeds has investigated innovations in electric mobility that could take the electric car from a niche to the mass market. From new big data applications to smart infrastructure solutions, there are a host of developments that could make 2017 the year of the electric car. It is already much cheaper per mile to drive electric than diesel or petrol – it costs about 12p per mile for liquid fuel versus 2p-4p per mile for electric. Most people will also do the majority of their charging at night, when the price of electricity is much lower than during the day. As more and more of us get smart electricity meters in our homes, our energy providers will be able to charge us more accurately for when we use electricity as well as how much we use. This means we will be able to access electricity tariffs which offer very low prices during the night. So long as consumers set the car to charge after 9pm, they could hit prices under 2p per mile. Watch out for electricity suppliers offering special deals to electric vehicle customers. New partnerships between car makers, energy utilities and cities will offer many more options for us to take our first ride in a purely electric car. Low-price electricity is often the greenest electricity. As we build more wind and solar power into our electricity systems, the cost of electricity on the wholesale market falls. This is because when it’s windy or sunny those technologies have to sell into the market, so the more of them there are having to sell, the more it becomes a buyer’s market. Some electric cars can already be switched on and off charge remotely – and there is no reason they cannot be programmed to charge when electricity is cheapest or greenest. Look out for new apps and programmes to link car charging with renewable energy by remote scheduling charge cycles. For 97 per cent of the time, we are not behind the wheel of our cars. This has led to a host of non-ownership models where people take short-term rental of cars, buying “mobility as a service”. This research shows that innovative ideas around mobility as a service could be linked with the energy system to offer low-carbon vehicle access to everyone – whether they want to actually own a car or not. Anyone who already uses car clubs, or thinks they might ditch fuel in the near future, might find themselves riding electric sooner than they thought. 4. No driveway, no problem. Until now, having a driveway or garage was the only realistic option for everyday charging. Public charge provision has been patchy – drivers are often forced to use slow chargers in inconvenient locations to top up. This leaves anyone with no off-street parking with no reliable everyday option for charging their vehicles. But throughout 2017, UK cities from Bristol to Nottingham have been investigating new rapid charger provision that can fully charge a normal electric vehicle in the time it takes to drink a coffee and check emails. These rapid charger points are available in motorway service stations, but they are set to appear in cities, too – so not having a driveway won’t stop you buying an electric vehicle if you live anywhere close to one of these “filling stations of the future”. Look out for them at a forecourt near you. Linking up your brand new electric car with your home sounds great, but in the past would have set you back at least £35,000 for the price of a car, some solar panels and some smart conversion kit. But now as the first generation of electric cars are arriving on the secondhand market, anyone can get a bargain. AutoTrader has led the way by allowing users to search exclusively for fully electric-powered cars. Fill her up: a charging station in Vilnius, Lithuania. J. Lekavicius. Anyone who takes a look will see a good quality used example can cost about the same as a conventionally powered car in the same class. Expect to see a growing market for used electric cars and extended warranties on batteries and charging kit. Overall, this research showed us that new partnerships between car makers, energy utilities and cities will offer many more options for us to take our first ride in a purely electric car. We need smart ways of charging so we don’t overload our existing electricity grids – and we might need to get used to seeing a lot more electric vehicle-only parking – but 2017 is looking like a critical year for electric mobility. It makes a lot of sense to link all these innovations so that new electric cars can get the cheapest, greenest power possible – and we can finally feel less guilty about driving when we could have walked. Stephen Hall is research fellow in energy economics and policy at the University of Leeds. This article was originally published on The Conversation.